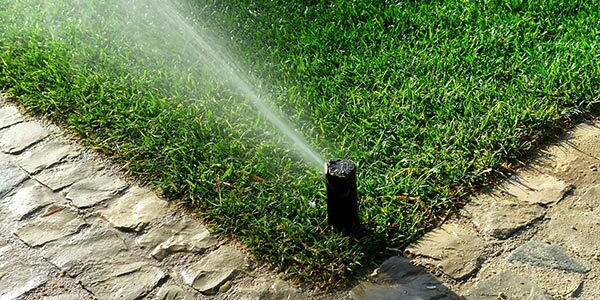 A sprinkler system makes it easy to ensure your lawn gets the water it needs to thrive. Try these tips for best results from your sprinkler system. Here’s how to make the most of your sprinkler system. Wait before watering. Don’t turn on your sprinkler system just because it’s been a few days since the last watering. Instead, wait to see signs of drought stress in the grass, like the color turning from green to blue-ish gray, wilting, or footprints remaining visible. Allowing grass to experience a small degree of water stress after you’ve given it a deep watering actually encourages roots to grow farther down in search of moisture, rather than staying at the surface. As soon as you begin to see signs of stress, water the lawn deeply again. Water early in the day. 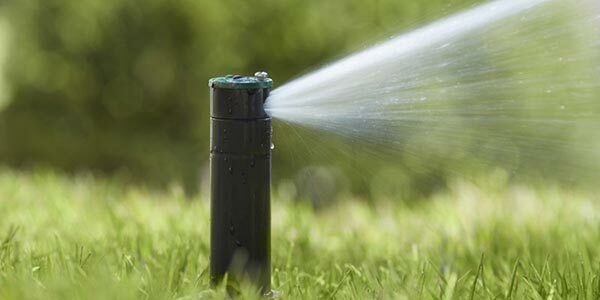 Run the sprinkler system during pre-dawn hours for most efficient watering, as the lawn will lose less moisture to evaporation from the sun and heat. Avoid night watering, though, as watering after dark will cause grass blades to remain moist overnight, making them more susceptible to fungal diseases. Get good coverage. To avoid dry spots, sprinkler heads should be positioned so they overlap slightly in their coverage areas. Walk around on your lawn after watering, and make adjustments to the sprinklers if you see that any portions have been missed. Do a little maintenance. Every so often, observe your sprinklers in action, looking for clogged or leaking heads. Use a slender piece of wire to unclog sprinkler heads. Repair or replace valves if sprinklers are leaking or valve boxes are water-logged. Adjust misdirected heads that are spraying pavement. If you see a fine mist or fog during watering, lower the system pressure. Be flexible. Reset your watering schedule as needed to adjust to seasonal weather changes. If you live in a drought-prone area, check with the local extension office or water board to find out if there are any restrictions on when and how often you are allowed to water your lawn.